While I was working as a volunteer in the Last Days Ministries/Youth With A Mission print shop in Texas, I also volunteered playing piano and leading youth at Garden Valley Baptist Church. I really enjoyed this because I was able to get to know some local families well and we were able to encourage each other in the Lord. They included me in their Thanksgiving football celebrations and took me to their high school football games. Probably the second summer I volunteered with them, they organized a VBS (Vacation Bible School) week, and asked me to do songs for the kids. Organizing the time off from work to do that wasn't difficult because I could walk to the church from the print shop, so I readily agreed to help. I really wanted God to make an impact on these kids through me for that week. I fasted and prayed leading up to the week for the kids and what I'd be doing with them. I organized some fun songs and some stories to go along with them. "Give me oil in my lamp...", "I've got peace like a river...", "I like bananas...", "My God is so Big..." "I'm too young to march in the infantry..." etc. VBS week arrived and I set out to share my songs and stories with these kids. I'm not sure that there were ever more than seven kids with me in any given session during the week, but I went for it anyway. Every day I asked if anyone had a 'testimony' or a story of something good God had done for them to share. Monday, Tuesday, Wednesday, and Thursday went by and no one had shared anything. Friday I was a little demoralized but I shared about how "Give me oil in my lamp...' is a song about how God is a good Father, and He gives us the things we need, when we need them. I asked again if anyone had anything to share, and to my surprise a little boy put his hand up. He wasn't a regular attender at church, but had been coming every day to VBS. "I'm from out of town and I've been staying at my Grandma's this week. She has a small lake on her land with fish, and I really wanted to catch a fish while I was here. I've been fishing every day this week and haven't even gotten a bite. This morning I remembered what you've been talking about with these songs here this week and I thought I'd ask God to help me catch a fish." All the other kids were looking at him at this point. He had everyone's attention - you could have heard a pin drop. "So before I went out to fish this morning, I prayed and asked God to help me catch some fish. Fishing was totally different today - I had a bite with nearly every cast! 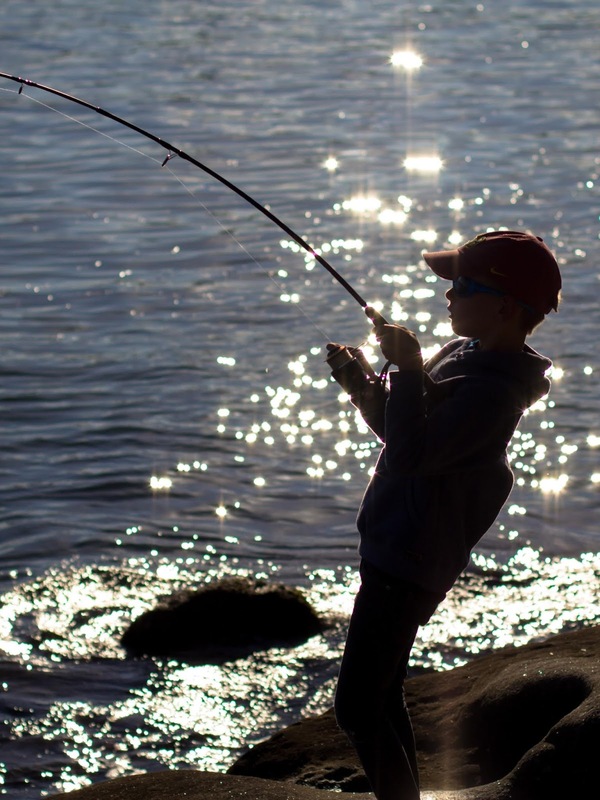 When it was time to leave for VBS, I had 20 pounds of fish on a stringer that I had caught!" Everyone was shocked, including me. God did a miracle for this boy. I don't think anyone there that day forgot his story about what happened and how God had moved for him.